Looking to join the largest and fastest growing Umpires Association in the state? 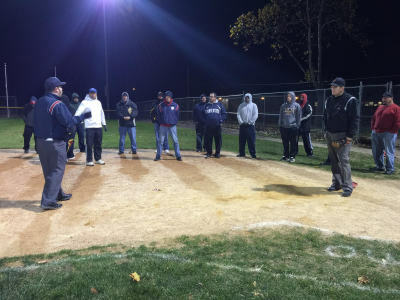 The Tri-State Elite Umpires Association offers an extensive multi-week training course to anyone interested, with or without experience. You will be taught proper mechanics, rule interpretations, game management, among many other skills needed to be a successful Umpire. Our course has been rated among the best in the region. The cost for the course is $165. In addition to your training, you will recieve free membership and assigning fees for one year. If interested, please fill out the form to the right or e-mail President and Assignor John Gallante ([email protected]) with any questions. There is no better way to stay active and involved in the game of baseball than becoming a Tri-State Elite Umpire.